There is a deep connection between the factors driving young Algerians into the streets and on to migrant boats. By Matt Herbert and Sofian Philip Naceur for ISS TODAY. Even Bouteflika’s postponement of elections on 11 March and announcement that he would not seek another term have been viewed as insufficient by protesters. Any proposal extending his rule beyond the current term, including in a transition phase, promises to prompt more protest. Only a day after his announcement, thousands of students staged a rally at La Grande Poste in the heart of Algiers. Calls have multiplied on social media for another wave of countrywide protests today. This fundamentally misinterprets the current trends and drivers around Algerian irregular migration. 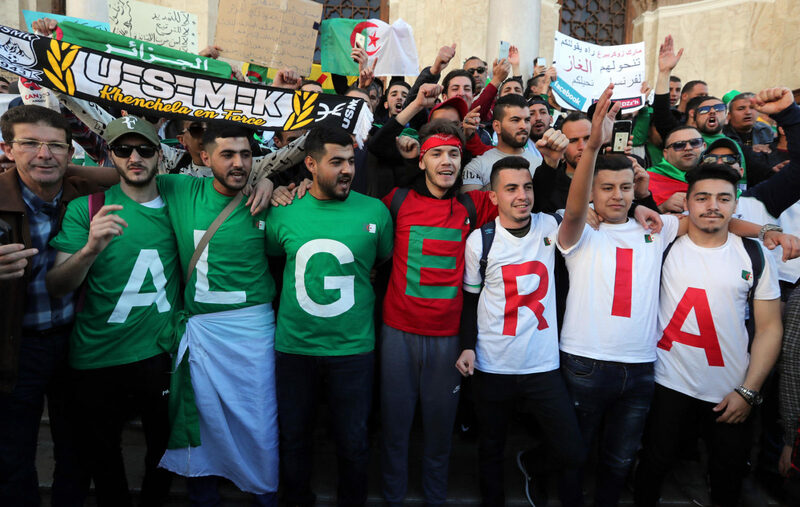 While the protest movement is unlikely to drive migration, there is a deep connection between the factors driving young Algerians into the streets and onto migrant boats. Well before Bouteflika announced his intention to run for a fifth term, Algerian irregular migration towards Europe was rising. Between 2015 and 2017, the number of Algerian migrants apprehended by Algeria and European states more than tripled. In 2018, nearly 13,000 Algerians were caught; many more probably arrived undetected. Unlike years past, when Algerian irregular migrants were overwhelmingly young men with limited education, over the past year significant numbers of educated youth, women, and families with young children have also made the journey. In December, two toddlers and an 11-year-old girl were pulled from a sinking boat off western Algeria. Others have not been so lucky: at least 119 died in 2018, and another 96 remain missing. Economic opportunities are limited, and even when jobs are available the wages are often not enough for youth to earn a living. For a growing number of young people, life steps like acquiring a house or marriage are put off. A despair exists: the common local phrase, la mal vie, (the bad life), describes the sentiment for many Algerians. It is a sense that the youth are a blocked generation. “More and more there is the impression that they cannot breathe,” noted a teacher in Oran. Algeria’s future is unclear but what is certain is that foreign fears that upsetting the status quo will lead to a migration “wave” are misplaced. The old status quo, including securitised approaches to migration, are not tenable and have not been for some time.